A dog leash is attached to a dog and is 3.2 metres long. A bone is 7.8 metres away from the dog. How does the dog get the bone? It simply walks to the bone! 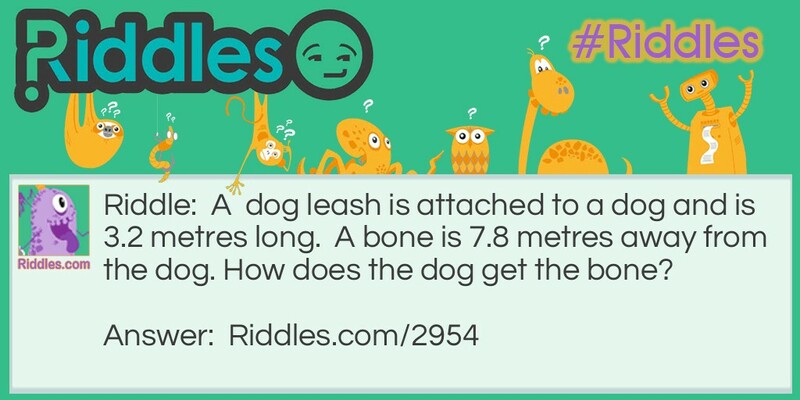 Dog Leash Riddle Meme with riddle and answer page link.